Well, M80s and cherry bombs, but those aren't widely available in the US. Firecrackers of a more sane portion probably come next in the category of "loudest". In California the selection of fireworks available to the public is limited. We can't get flying rockets or spinning helicopters or any kind of actual exploding firecrackers. Mostly we get sparks and whistles. 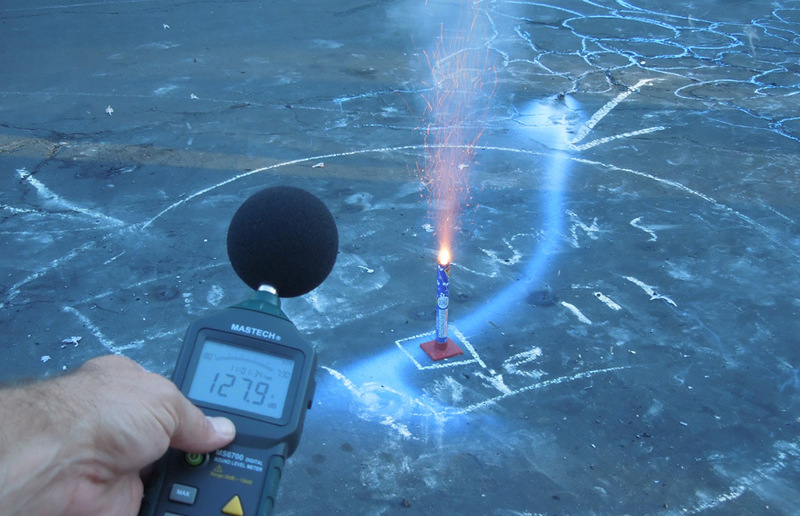 This year, armed with a new sound pressure level meter, I measured the volume of several popular fireworks to find which was the loudest. 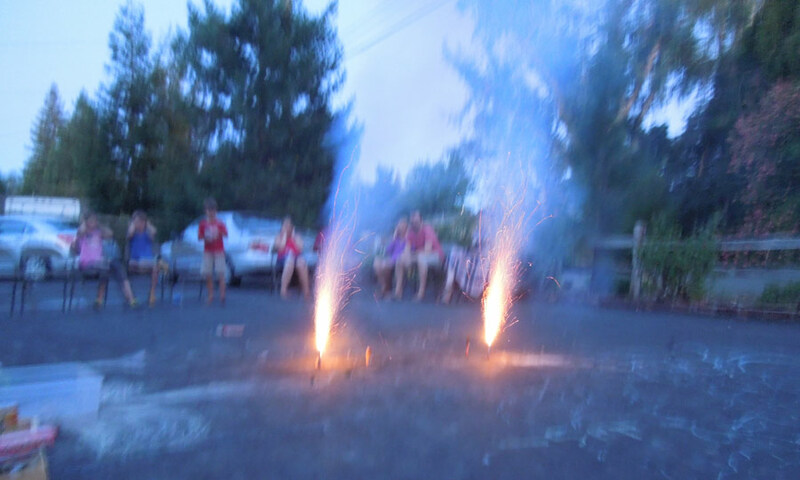 I combined forces and children with Suzi, Maggie, Brad and Alli and we ended up with a ridiculous array of pyrotechnics. Distance is critically important when determining the volume of a sound. 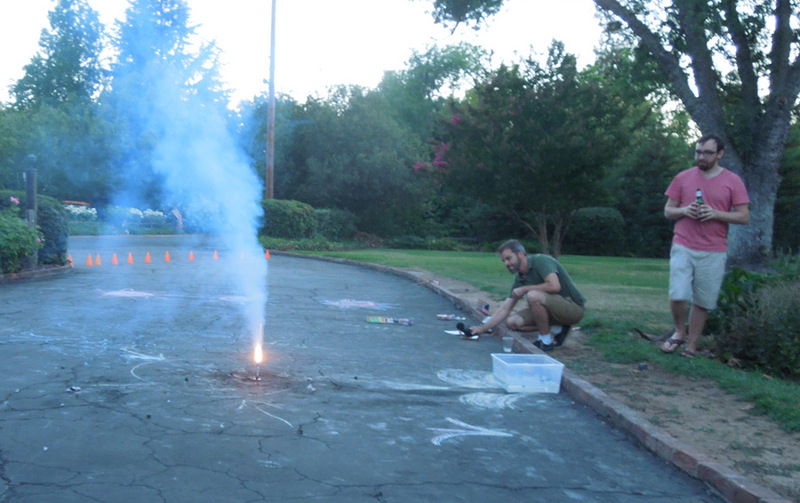 For this experiment the fireworks were measured at 10 foot (3m) distance. 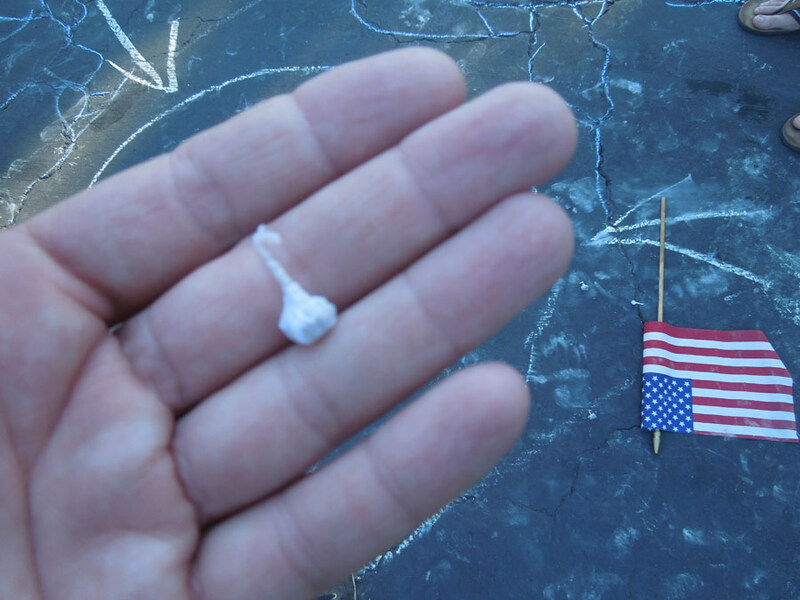 The first item we tested were tiny twisted paper contact explosives known as "Bang Snaps". These area about as harmless as a hand clap. 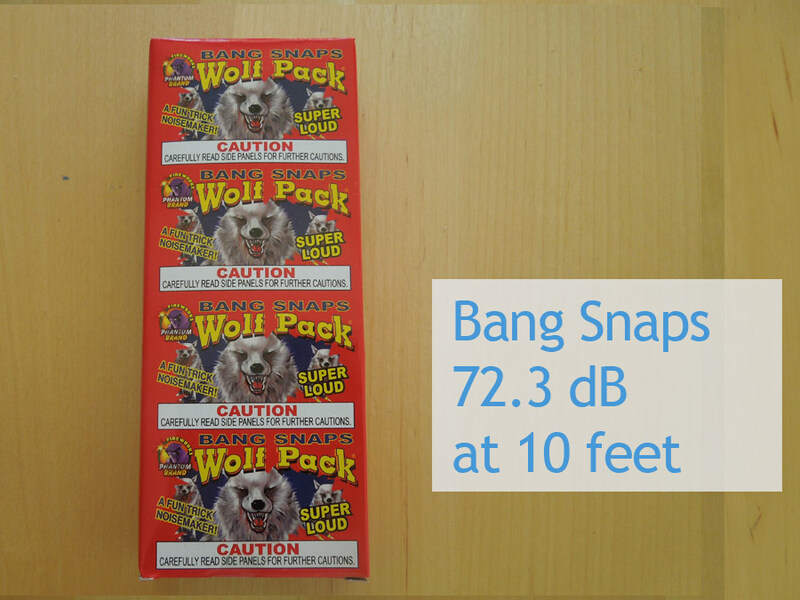 I measured them at 72.3 decibels (dB). They just got louder from there. Here's the packaging for the Bang Snaps. These are pretty fun, but I'm not sure 72.3 dB qualifies as "Super Loud". 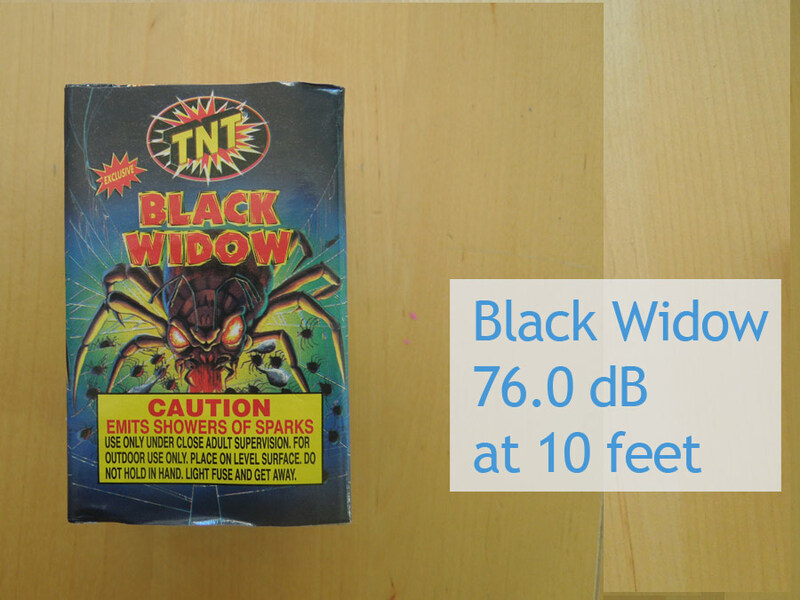 The Black Widow was sold as a quiet firework, presumably for families with dogs. I measured this one at 76 dB at a distance of ten feet. 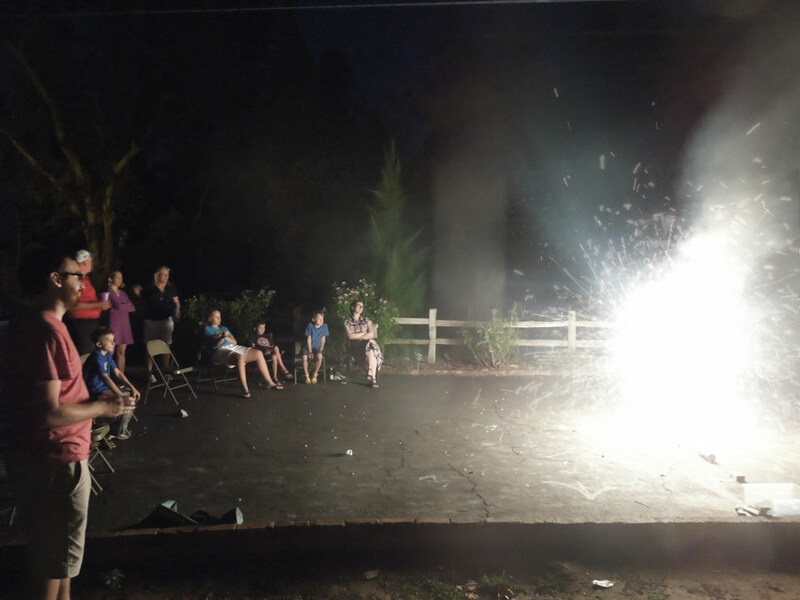 The crackling balls were a lot of fun and usually jumped into the air, throwing sparks all over the place. They were just under 100 decibels. 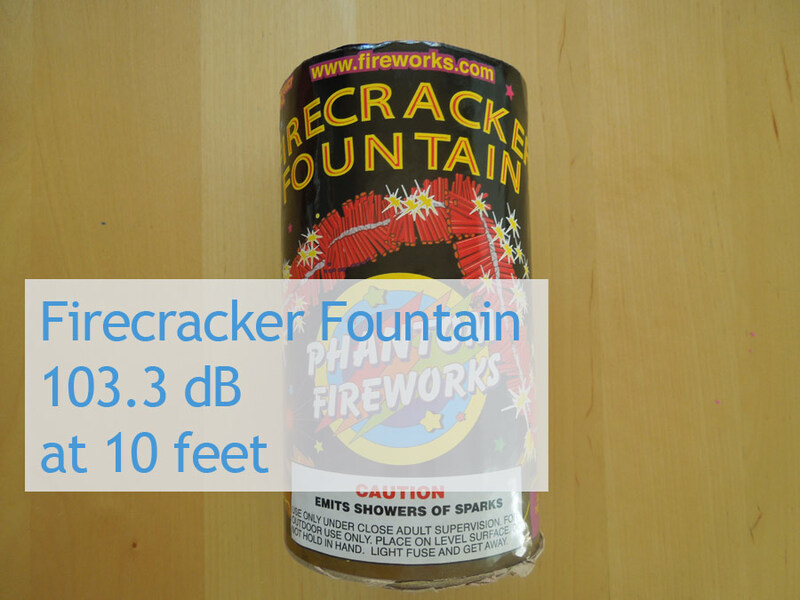 The Firecracker Fountain was the loudest "banging" firework from Phantom Fireworks. I measured this one at 103.3 decibels from ten feet away. 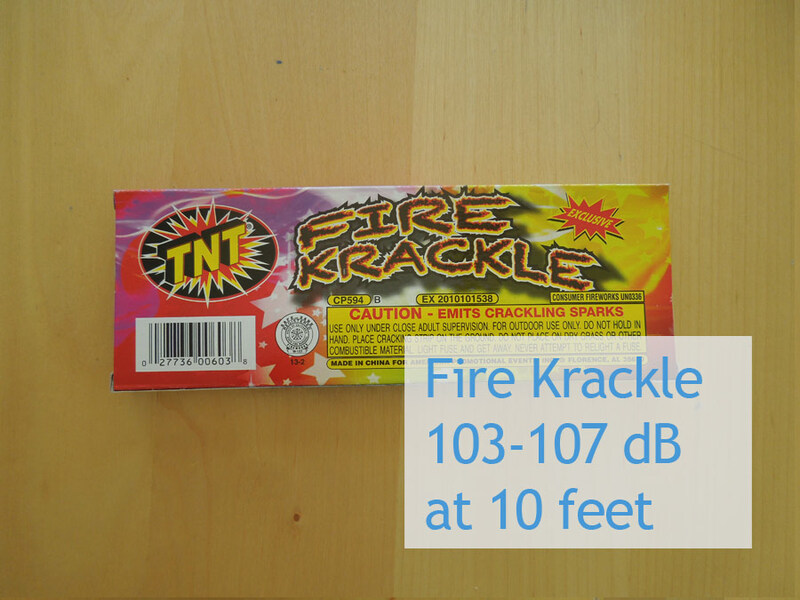 The Fire Krackle strings were the loudest bang from TNT fireworks. 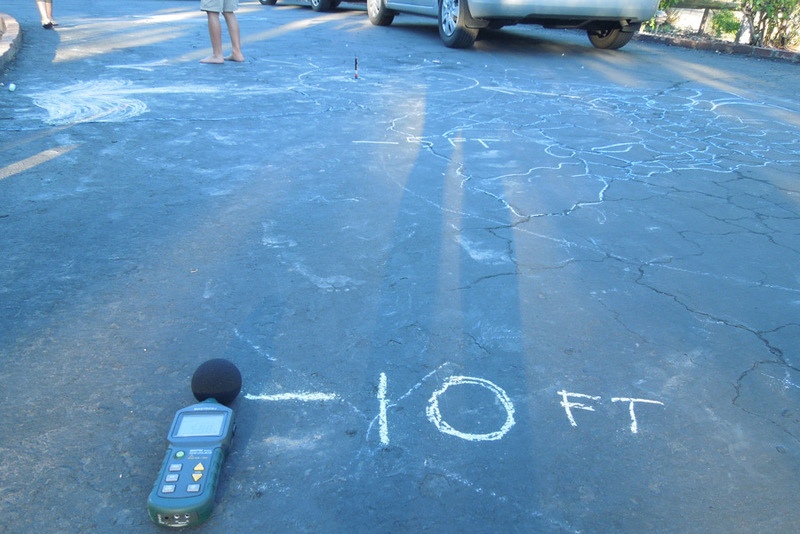 I measured these at 103-107 decibels at ten feet. The Killer Bee from TNT had five or six whistles which reached 104 decibels. Actual bees don't whistle unless they are riding a bullet as they zip by your ears. 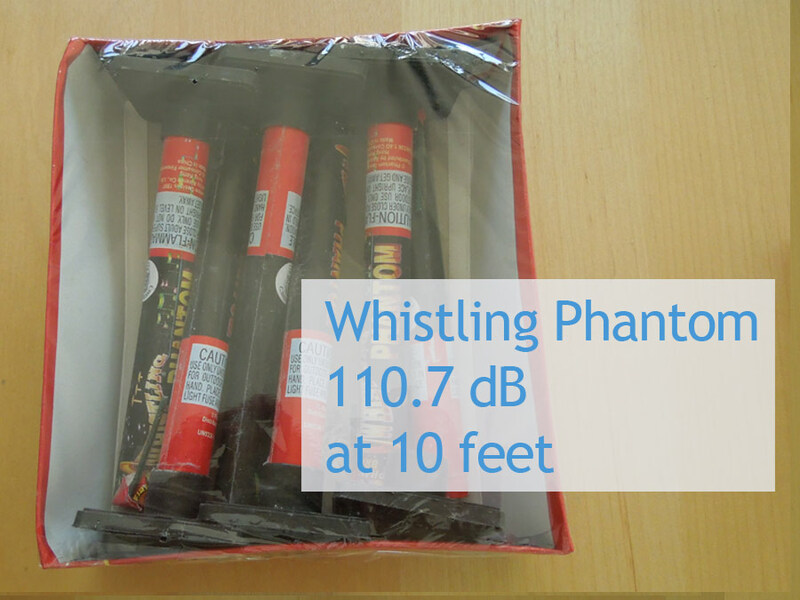 The Whistling Phantom is the foremost whistling firework from Phantom Fireworks. 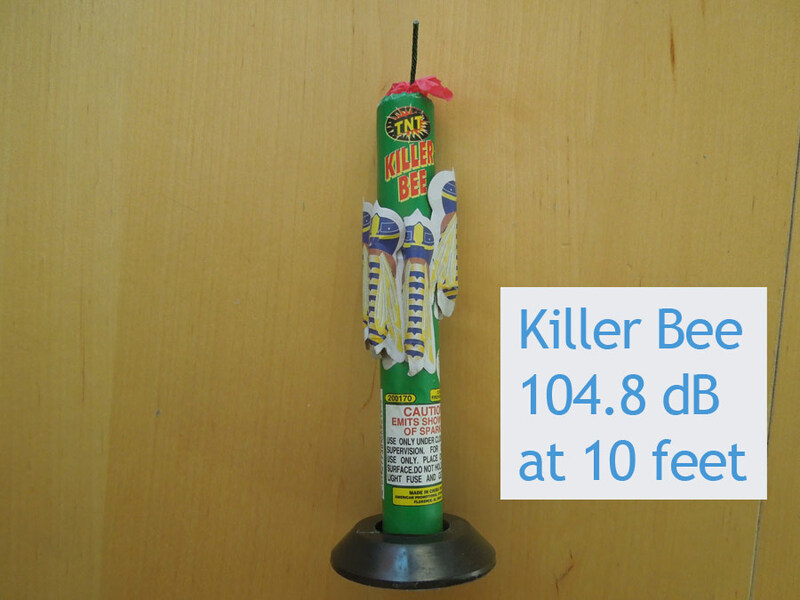 These reached an average volume of 110.7 decibels at a distance of 10 feet. 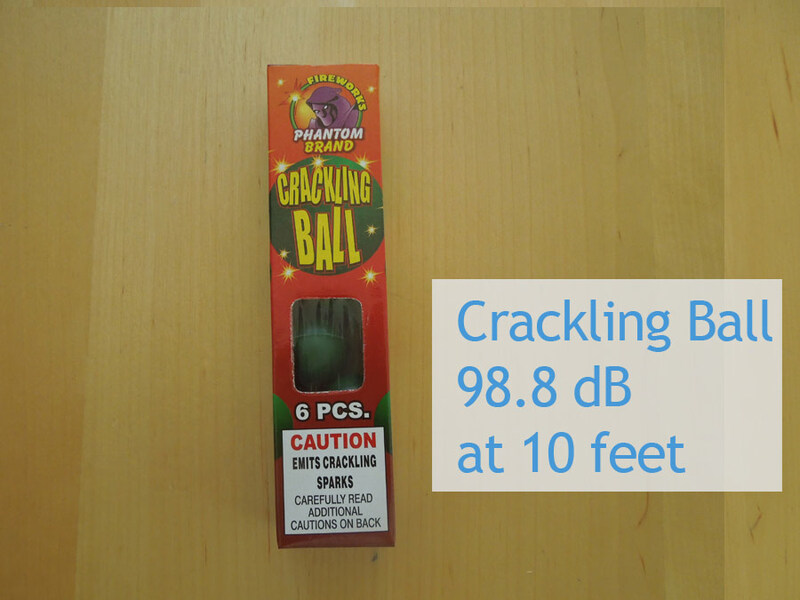 These were the loudest tested firework from Phantom Fireworks. 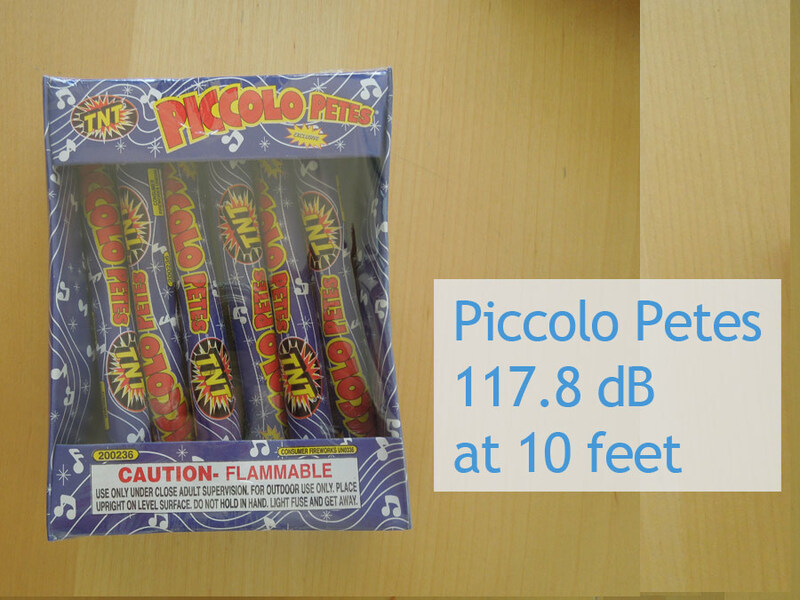 Piccolo Petes were the loud firework champion, registering 117.8 decibels at ten feet. 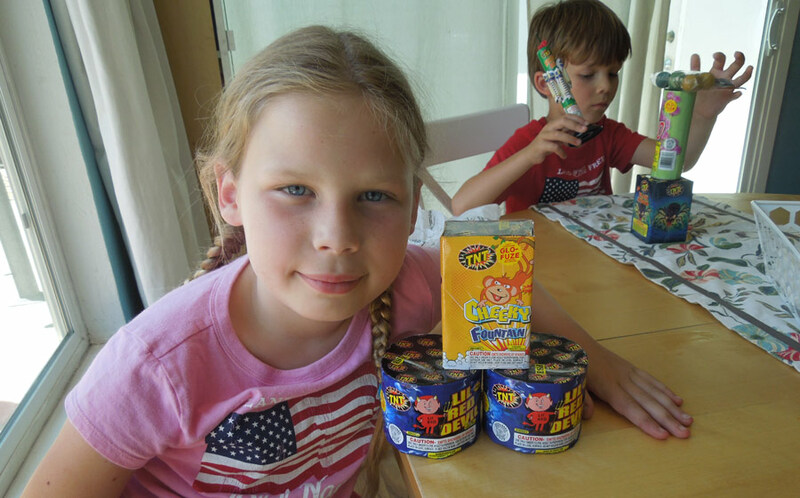 These are made by TNT fireworks. A slightly louder effect was possible by lighting two Piccolo Petes at the same time. Simultaneous whistlers can be annoying or interesting because they produce a warbling interference sound. This duo was one decibel louder than a single Piccolo Pete. The whistlers were louder than the bangers and crackers. In this photo I captured the highest reading of the night, 127.9 decibels. This was about three feet away from the mouth of a Piccolo Pete. As the sun went down, measuring sound pressure levels took a backseat to sparklers, fountains and genuine pyrotechnic lightshows. Whistlers are loud, but they are a one-trick pony and you are likely to be sick of them before you finish your box of six. On the other hand there are a hundred different kinds of fireworks out there, but I bet the only one whose name you remember is the Piccolo Pete.